This patented product is made by the trusted leader in media-player mounting. Total Mount includes many mounting options. Total Mount is a flexible mounting kit that enables you to mount AirPort Express to a wall, underneath a desk, or to the back of a TV. Discover the benefits of mounting AirPort Express. 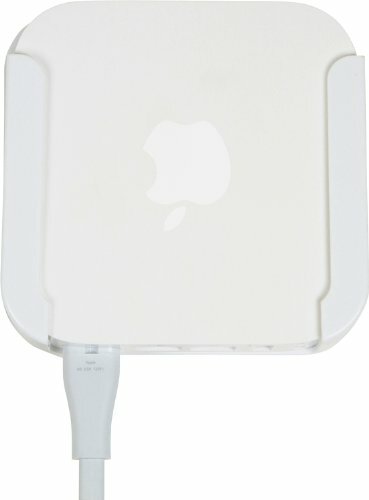 Total Mount is ideal for many scenarios such as (1) mounting AirPort Express safely away from accidental bumps, spills, and tampering; (2) mounting AirPort Express near a power outlet for use as a Wi-Fi range extender; (3) cluttering your desk area; and (4) mounting AirPort Express behind a TV to enhance Apple TV or Smart TV Wi-Fi data rates.